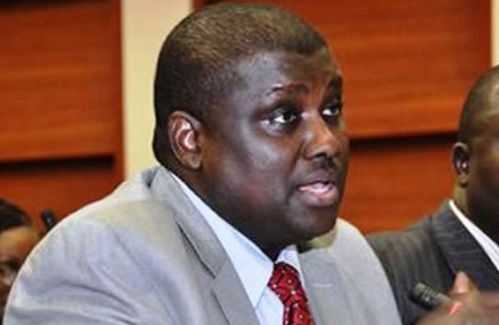 The embattled former chairman of the defunct Pension Reform Task Team, Abdulrasheed Maina, says he helped President Muhammadu Buhari recover N1.3tn in January. Maina, who is wanted by the Economic and Financial Crimes Commission, said this in a video. He claimed that while he was out of the country, the Attorney General of the Federation, Abubakar Malami (SAN), paid him a visit during which he (Maina) told Malami about the N1.3tn. Maina said, “As soon as this current government decided to sit with me, after the meeting, I told them that I would not allow them to return to Nigeria without giving them a gift. I told them I will give them something and the Minister of Justice (Malami) laughed and he asked what the gift was. “I gave him a document and said go here and here; that there is N1.3tn which they want to steal because they have been stealing every year. He was shocked and said it wasn’t possible but I told him that sir, with all due respect, could you try what I said? 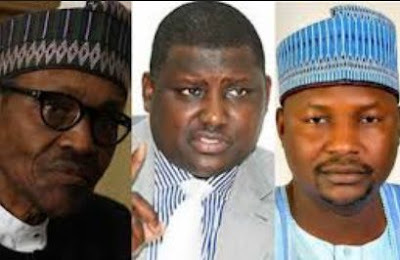 Maina urged President Muhammadu Buhari to give him some form of immunity which would allow him to appear before the National Assembly without being arrested. He said if he testified in public, many secrets would be revealed. Maina said some of the people working for the President were insincere and not telling the truth. He said, “People around the President portray themselves as saints but it is a lie. My team recovered N282bn in cash; aside that, we were able to bring information that led to the arrest of 43 pension suspects. N1.6tn cash investment and properties were recovered. “They have threatened my brothers, sisters and even my lawyer. They said I would be killed. They said my family would be annihilated if I testify. I have asked the President specifically that if he wants to know the truth and wants to be fair to the nation, he should give me the opportunity to present (evidence).